What to eat today. Fun game with cooking topics. Prepare a bean soup by selecting the ingredients. 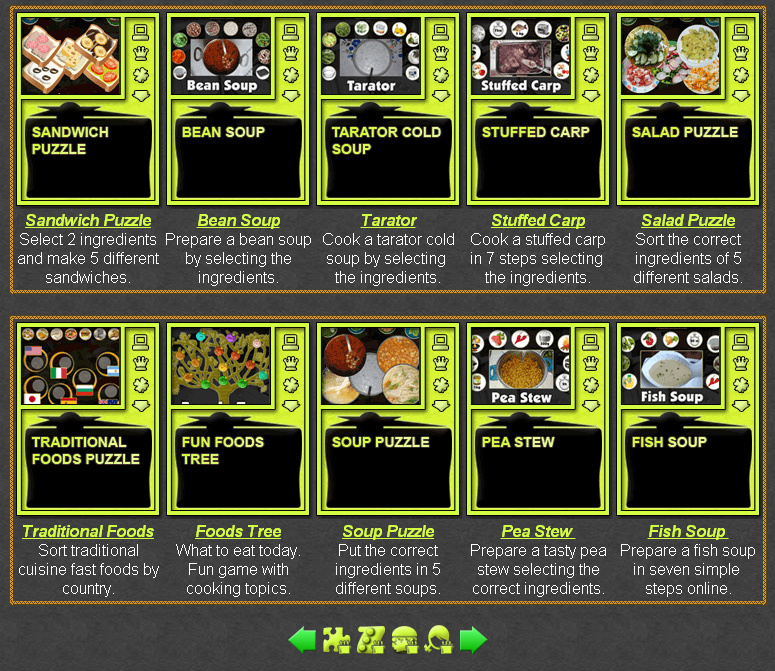 Free online games about cooking. Cooking games to explore and study culinary art. 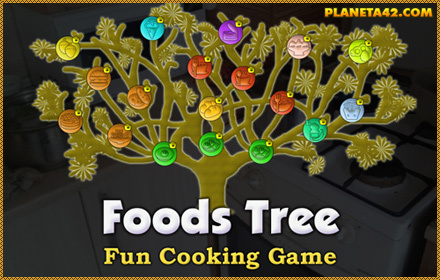 The cooking learning games are small flash games, up to 1 MB, which include puzzles, mosaics and interactive cooking recipes to have fun with ingredients and spices. Cooking is not exactly science in the physical sense, but it is in the semantic point of view, as it require a lot of knowledge, trails and errors to achieve an awesome meal. In the cooking category, there are some fun ways to cook online. Food Types Tree - Sort 18 types of foods, meals and deserts on the tree of knowledge. Bean Soup - Interactive recipe to prepare a bean soup in 7 steps. Tarator Soup - Interactive recipe to prepare a tarator cold soup in 7 steps. Stuffed Carp - Cook a stuffed carp in 7 steps online. Interactive cooking recipe. A Delicious Collection of Cooking Games. The interactive culinary recipes (soon more than two) are 7 steps walk-through to prepare popular, and not so popular dishes, meals and soups. There are some ingredients and equipments, and they must be chosen by order, or the result may be something not very edible. The interactive culinary recipes may be used for references and recreation. All games can be played online in the web browser for free. They also may be collected. The games will run on common computers, tablet and laptops, with installed flash player. Like all Planeta 42 knowledge level games, when completed they give +1 Knowledge Level. Free to play and download without registration. Fun cooking games.